The champions of new technologies and platforms will be the marketers and innovators who resist the urge to make things more difficult than they need to be, says Steve Sammartino. 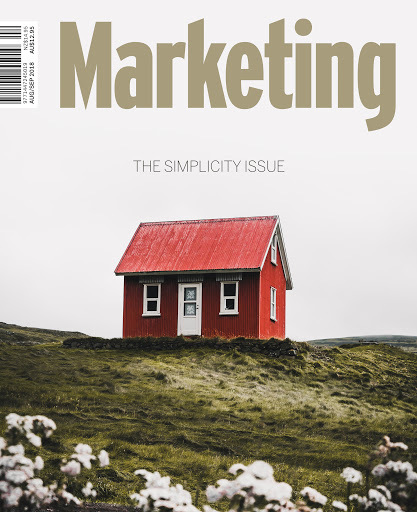 This article originally appeared in The Simplicity Issue, our August/September 2018 issue of Marketing magazine. If you remember back to when every living room had a box TV and a VCR sitting above or underneath it, that VCR most often had the time affixed to a permanently blinking 12.00am. While it’s easy to blame the owner for not knowing how to program it, the blame should be pointed to the manufacturers who didn’t know how to design it. The functionality of the average VCR was well beyond the capability and intention of most end users. The net result? 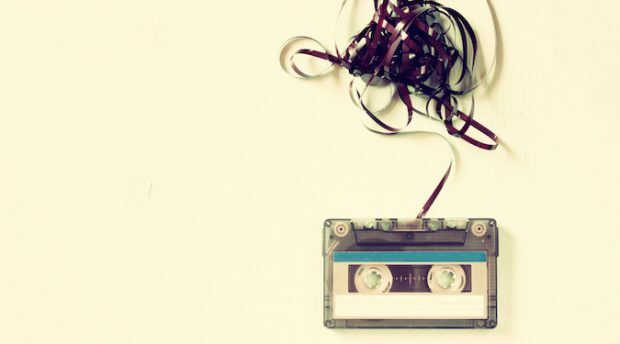 There was a barely a VCR that got used for more than its two most simple features, either to play a video cassette or to record one while we were out or watching something else. All of the utility of this wonderful technological advance got wasted save for these two features. The lesson for marketers is this: just because you can make a technology do something – add just a few more features – it doesn’t mean you should. Pretty much everything we buy in the modern economy comes with an instruction manual of some sort. We mostly don’t need them, but they’re always there. The products that win the race for the ever-discerning consumer dollar are those that don’t need one. Just take a look around the average supermarket shelf, pick up a product and turn the package around. Sure enough, a set of instructions on how to consume the product. From shampoo to cereal to instant cups of soup – rinse and repeat, enjoy with milk, add hot water. Nothing too complex, in fact, the manufacturing consumer industrial complex was built around ‘removing the steps’ required in food preparation and caring for the household. They made things easier than the previous option. In fact, the product’s utility plays a secondary role to the simplicity of using it. If the new product form requires a complex procedure to learn how to use it, we’ll never know how much better the product or service is, because consumers will rarely take the time to move up the learning curve to find out. Today, the single-minded proposition could never be more important. In a world of exponentially increasing complexity, consumers pine for a simple solution, a solution where usage is intuitive. Just like a banana or an iPhone – where the product itself has the instruction manual built in. As marketers we can think of it as a free prize inside. The iPhone was so simple to use, it only required a finger to poke around with. While the iPhone is now endowed with infinite potential features, it launched with the bare minimum, all the features of which we’d used before on desktop and laptop machines. The only apps it added to the pre-smart era phone was a graphical web browser, maps and YouTube. There was no App Store. Instead of competing on getting as many smartphone features the multitude of sensors inside it could handle, Apple focused on getting the core experience right. It was about the simplicity of the move from button-based keys to a big glass screen in our pockets. It was the simplicity of sliding between functions seamlessly and making the features radically better than the web connected phones that came before it. Ironically, the launch of the App Store a year later again proved that the single-minded proposition reigns supreme in all things tech. Most of the apps that arrived on the platform did a single thing. One the consumers could understand, and often involved the shift of removing something from the physical world and making it virtual. Unfortunately, technology has a long history of making things more difficult than they need to be. The engineers and technologists leading the charge, always in good faith, wish to build something that lives at the edge of consumer utility, they want to ensure the product is ‘all that it can be’, when most often what we really need is something just a bit better than what we have right now. Think back to the dawn of the personal computer, the internet and even to a time social media amounted to Internet Relay Chat. Until it was plug-and-play, these things were a curiosity for early adopters and tech nerds. This idea of taking an incremental approach probably sounds like the absolute antithesis of everything we hear about disruptive technology. The current narrative is always a matter of taking a giant leap to the brave new world. But for one clear reason we need to be incremental at the first phase of any technology curve jump: in order to get us into a new technology, a simple adoption process matters much more than the potential utility of the new paradigm. It’s only once enough people are on any emerging platform that we can proliferate the possibilities. The biggest and most difficult job of the marketer is the transition to the new, which is why it needs to be as painless as possible. Only once we have our audience in the new world should we show off all the things we (our new product or service) can do for them. It’s from the simple that the game-changing platform and resulting complexity emerges. All complex systems emerge from single-cell organisms, which is why most platforms emerge from solving a single problem first before they widen their offer horizontally in the marketplace. The unfortunate element for marketers is the amnesia we suffer when we see the success of an all-conquering platform – we forget the simple innovation that made it possible and instead make wondrous plans of creating a wide and complex platform for our own industry or category. So the challenge for marketers is to resist the temptation to throw features at a technology-weary consumer. To ignore the range launch temptation and go with the one thing that matters, the thing that the shift to something new is all about. The emerging technologies of the next 10 years – IoT, smart homes, blockchain, the energy internet – will all remain in a state of inertia until brave marketers shape the offer to suit a painless consumer-focused transition process. Until any tech reaches a critical point where it needs no instructional manual, it will remain on the annual list of the ‘next big thing to disrupt industry X’. Many of the things on this list will never actually graduate from it. This means that we need real marketers who go deeper enough into what matters, until we think of ourselves as consumer evolution designers. We know when a technology has arrived when we don’t need someone to explain how it works, or how to make it work. But these revolutions never just arrive; they take marketers with the wisdom and courage to offer less, so that their audience can get more. The prize will be big for those that do.